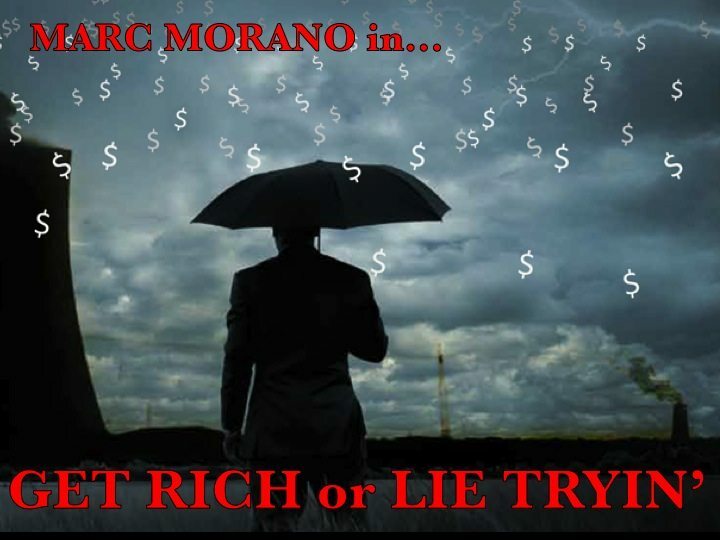 Why Marc Morano's new movie should be renamed "Get Rich or Lie Tryin." If you’ve ever turned on the television and seen a charismatic, boyish, conservative looking man yelling at scientists in an animated fashion, there’s a good chance it was Marc Morano. 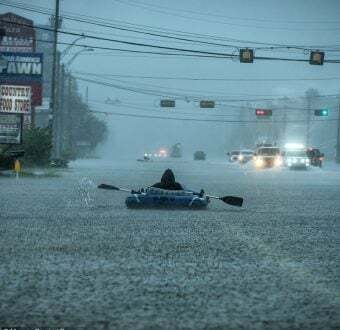 His new movie, “Climate Hustle,” is slated for release during global climate change negotiations next month. As in past years, Morano will be among a contingent of a dying breed of science deniers attending these negotiations with the simple intention of interference. Having met Marc before, I know what it’s like to look into the eyes of someone who is paid to misrepresent truth with confidence, and attack my natural hesitation to call out his dishonestly. 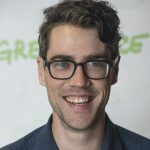 Last June, at the Heartland Institute’s tenth climate denial conference — a desert of true climate science expertise — I recorded my conversation with Marc. At minute 2:45 in the recording of our talk, he pulls a classic move. Listen to him pull a double-layered lie, baiting me to confirm that 2014 was the hottest year on record, then attacking me for saying yes. In fact, scientists say that 2014 was the hottest year on record, according to a study by NASA and NOAA, as reported worldwide by BBC, TIME, New York Times, The Guardian, and the Weather Channel. But Marc knows what the tobacco industry discovered in the early 20th century: the facts don’t matter. To find Marc’s weaknesses, an examination of his rapid-fire claims is needed. You hear him say NASA retracted the statement (not true), and claim that the Associated Press had to pull down a story. In reality, the AP clarification statement was not a retraction, and it did not reverse the conclusion of the NASA/NOAA study. Nor did it disprove decades of scientific evidence that human-caused climate change is happening, a conclusion Marc hopes to help the audience jump to. If you bothered to read this far, you see the infuriating advantage that Morano has. A lie, or a half-lie, takes only a few seconds to say. It can take a long time to untangle. By then, Marc has already moved on to his next line — trying to debunk each inaccurate claim as it happens would be a mistake. It would do nothing to clarify the facts to an observer unfamiliar with the science of climate change. That’s where long-term documentation comes into play, and that’s where Marc Morano’s disinformation train loses steam. This follows revelations from InsideClimate News and the Los Angeles Times that Exxon not only recognized climate change as fact — and its roots in fossil fuel use — but spent millions on scientific studies of our global climate system. After Exxon buried the evidence and waged an advertising and public relations campaign to deny the science, the company coordinated and financed several groups to confuse the public. One of these groups is Marc Morano’s employer, the Committee for a Constructive Tomorrow (CFACT) which pays him a $150,000 annual salary. CFACT and Exxon — along with Chevron, coal utility Southern Company and a number of other front groups — forged a plan in 1998 at the American Petroleum Institute that they continue to follow in 2015. The “Global Climate Science Communications Action Plan” involved placing scientists who appeared independent at these front groups, financed by coal, oil, car and other industrial corporations to make public relations sound like science to reporters and the public they report to. Morano was at a critical intersection of the strategy: he worked in the office of Senator James Inhofe (R-OK), who remains an outright denier of global warming. Morano’s poisonous words are still parroted by Senator Inhofe at every opportunity, who loves to pretend that global warming is disproved every time it snows outside. Morano and Inhofe have capitalized on America’s scientific ignorance. While public relations consultants like Morano continue to lie to the public, policymakers like Inhofe are cleared to continue putting polluters before people in Congress, siding with oil and coal companies paying for their elections instead of the people they are elected to represent. The future for Marc Morano and the rest of the cast of climate deniers is uncertain. The New York Attorney General issued a subpoena to the oil giant, initiating a process that could eventually implicate people like Marc. Congress and presidential candidates alike already have their eyes on ExxonMobil, which could lead to more unearthed evidence that Exxon knew it was deceiving the public. If we bump into Marc in Paris this December during the next round of global climate negotiations, we’ll be sure to ask how he feels about the unfolding lawsuits.